​Although it is an urban party, has its roots in Mindelo suburbs. It is a festival which is held annually and brings together the sympathy of all the inhabitants of the island, but not only. 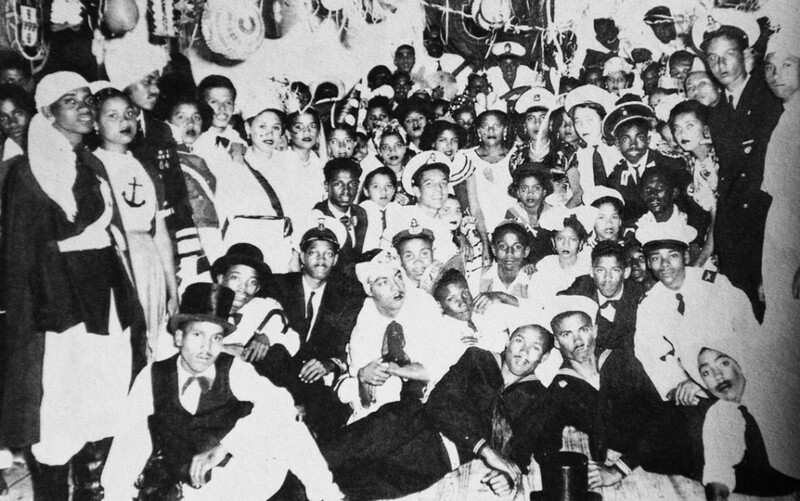 Many Cape Verdeans who live on other islands, visiting San Vicente just to be able to live the uniqueness of its Carnival. The same goes for many migrants, who choose that time of year to visit family and at the same time seize the party splendor. a cultural and political party is considered, by many regarded as being the most important of the archipelago. It is characterized by a parade of floats, marching, music and dance, and incorporates many of the elements that are part of the culture and history of the island. Music is a key element, as well as the costumes, singing and dancing. For the inhabitants of São Vicente, Carnival is the time of year that the call for sharing extends to all classes. The Cape Verdean woman plays an important role. She is the subject and the center of the festivities. The man fit the accessory role to amuse, and entertain. By the early twentieth century, the carnival was confined to Carnival. It was all very simple and without any expression worthy of record. Over time, it has evolved to become the splendor today. Many were those who contributed to this development. By the 1920s, groups like Florianos, which had their own orchestra, organized grand balls at the time of Carnival. Its members were mostly civil servants and middle class people. Later, in 1939, the National group presents the first litter, which represented the Lusitania plane, which had taken Gago Coutinho and Sacadura Cabral in Brazil 17 years ago. 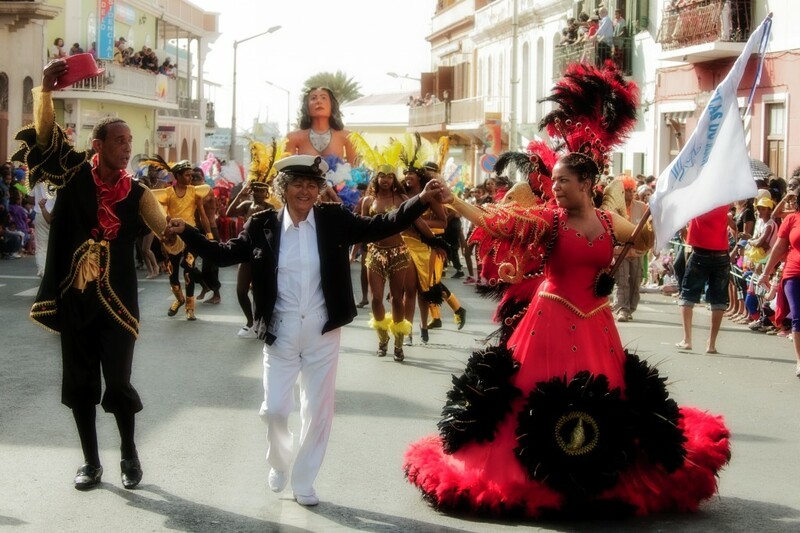 Today, we can say that there are two types of Carnival, and occurring simultaneously on the island of São Vicente: a traditional - Carnival of the blocks - that is imagined by the townspeople, who turn to suburban artists for your design and implementation, and the other consists of individual characters, without a common costumes and run around the city singing and dancing. The first, almost always come from neighboring districts and sometimes even carry allusions to the places they came from, with ironic sayings, critical to the customs or national policy. From year to year, they are losing the sense of celebration, turning a Carnival Tour event and luxury. The second are people whose only goal is fun, pun and parody. Until the middle of last century, all people participating. They are masked and went deep in the popular party. The euphoria was bigger. Then, slowly, the Carnival of Mindelo was up a hierarchy, depending on the social class of the participants. 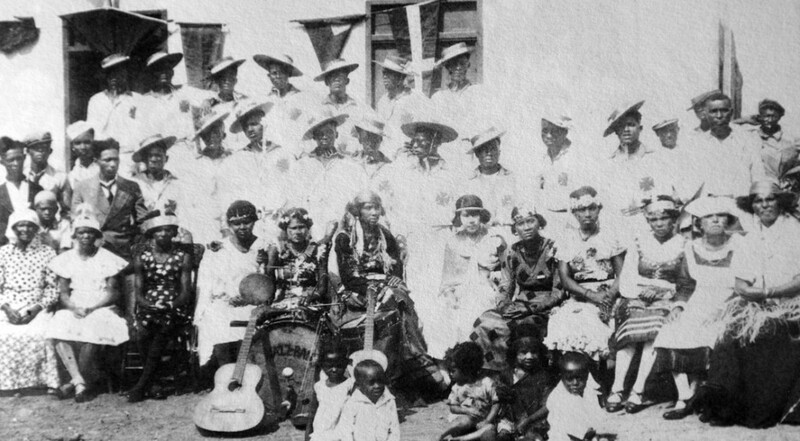 ​The 40s and 50s are marked by the presence of numerous carnival groups in Saint Vincent, among which stood out the Nho Fula, Lord, Junior, Youth, Pearl or States. In the 60s of the twentieth century, Mindelo elites made their balls inside the clubs, who were just access reserved for partners and never left the streets to participate in the great popular festival. The class of middle bourgeoisie, small civil servants, of literate people and businessmen, gathered up in sports and recreational clubs to make their holidays, only authorizing the presence of members of the community and their friends. They were more open associations, more familiar. Currently, groups, in general, are open to all who wish to participate by simply that its elements share the same spirit and the same ideology neighborhood. However, there are more selective groups such as Samba Tropical or The Coming of the space, where the entrance is by invitation. Groups are dominated by beauty and luxury. Three days in the whole city lives a blissful rhythm and in which everyone participates. Saturday is the day set aside for dancing. children's groups on behalf of their respective schools, parades in the main thoroughfares of the city during the day on Sunday. On Monday, a carnival group similar to the Brazilian samba schools parade through the main streets of Mindelo, as if preparing revelers for the big parade blocks with its own structures and to which are pleasurable extras, parading on Tuesday -market. This is the highlight of the Carnival. Carnival Mindelo _9_Nos GentiNo Mindelo, the carnival lasts three days, but in fact, their preparation begins long before. Well in advance, it is discussed by the artists group, the topic that will be brought to the public on the issue this year. Then drawings outline-for litters to the costumes of the extras and, finally, the clothing of the king and queen of the group. It gives then start building the structures of floats, usually iron and wire. Finally, lining us with bags from the bakery or cardboard industry. Recycle up all possible materials, many from the previous edition. Nothing can be wasted. In the three days before the start of the festivities, and that there are no unforeseen delays, many even get to sleep in the local construction of the floats. ​At the same time, usually at home in charge of the group, begins the confection of clothes. Dominated by light and vaporous hues, with many light blue, pinks and oranges. Also at this time begins rehearsals with the musicians and of the battery. Rehearse up dance moves to the beat of a samba or a march. During the month that lasts the test - not less than one or two hours every night - dance up and sings, repeating over and over the steps and the lyrics of the selected song until the tester (called master ceremonies) consider the perfect performance. All work is supervised by a direction, almost always made by the promoters of the group, designers and costume designers. They have the responsibility to guide the work according to the chosen theme and raise funds for materials and meals for employees who remain, almost in solitary confinement, at the construction site of the litters. Each of these elements in the management, demand that your group is the most successful to when the public presentation of the interpretation of the chosen theme. The music, with a strong influence on Brazilian samba, is tailored to the Cape Verdean reality. Usually addresses current issues in society or politics, can, however, express issues related to the history of the country, or more or less remarkable global events. The dancing, syncopated by the strong beat of the drums and bass drums, subjected the dancers, regardless of social class they belong to, the same interpretive level. Reflects the group's unity, because, dancing in sync, blurs the inequalities that, in everyday life, are impossible to circumvent. Arrives finally the big day: the parade of the blocks. It is the culmination of all the dedication and commitment, each in his own way, employed in the realization of this great cultural event. The excitement of the crowd watching, only adds to the nervousness patent in each of the participants. Concerned, beyond personal pride, is the prestige of the district they represent. A jury, attentive, whose composition is secret, will evaluate the performance of each group, since its organization, structure, through the singing, the dancing, the costumes, the choreography, the litters ... in short, everything is rated. 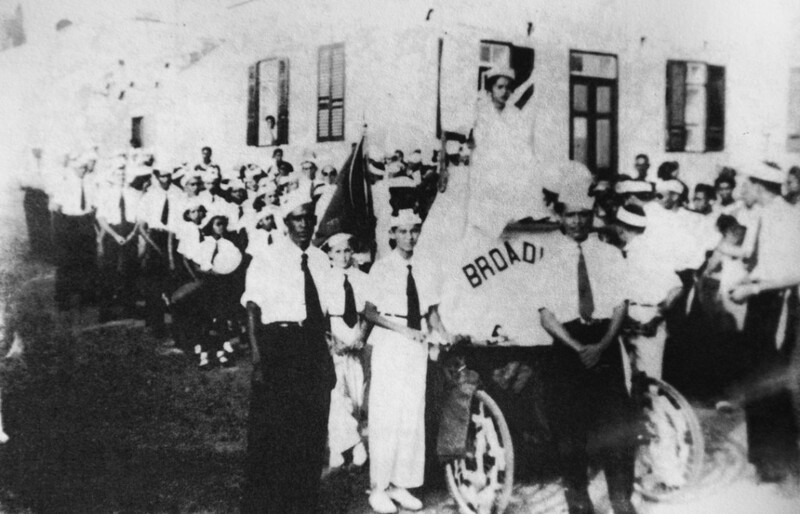 ​The organization of the parade is the responsibility of the sector of culture of the City Council, which, in addition to ensuring the logistical aspects for the realization of the party, is also responsible for the selection of the jury, the parade route of the decision, the rules have to be fulfilled and - very important for all groups - the draw will dictate the output order of the various blocks. Everyone wants to avoid being the first to march. After the parade, as with nightfall on the horizon, the jury reveals, finally, the winning group. Every year, the decisions are disputed, but that, as we all well know, is part of the party. However, only on Ash Wednesday, is wind up the revelry, it is when finally the winners crowned. The bodies can now regain strength. The spirit is now lighter. The Carnival of San Vicente is the time of year when the common people, the poor class, with little or no school, down to the city and is embodied in a collective dream. In this short but comforting dream, can live out fantasies that long ago one day imagined. 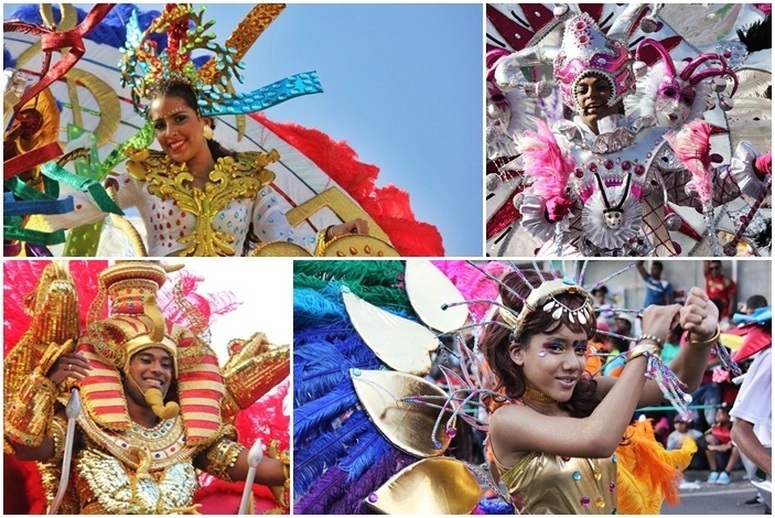 Many will be kings, queens and princesses other, that the sound of samba and march will never let die the spirit of Carnival in Mindelo, and where all dreams become reality.